You may be living life without knowing that there’s a potential sewer problem lurking underneath. But how would you know when it’s time to have your sewer lines inspected? Here are some of the most common signs that you’ll need to request a sewer camera inspection in Ventura County. Are you currently experiencing troublesome sewer issues such as foul odors coming up the drain, constant blockages, and slow working drains? This is a good time to call for a sewer camera inspection. The sooner a Roto-Rooter Ventura technician comes over and finds the root of the problem, the fewer headaches you’ll have in the long run. Experts recommend an annual sewer camera inspection for properties that are less than 10 years old. In the same vein, older homes must be inspected once every 6 months. Older properties will need to get data such as piping material, piping length, and diameter so that technicians can recommend an upgrade if necessary. Sewer problems build up over time no matter how new or how old your home and sewer system is. Inspection can save your property from mold, mildew and other destructive damage that will cost you thousands of dollars in out-of-pocket expenses. Property owners, whether residential or commercial, have their sewer lines connected to the municipal sewer system. In cases where raw sewage is seeping out of the pipes and into the environment, the city sends out a notice of repair. If you receive notifications telling you that your sewer pipes are broken and need to be repaired, you’ll need a sewer camera inspection to determine the location and source of the actual problem. Buying property is a huge undertaking, and as such, it needs to be taken seriously. To ensure peace of mind you can conduct a sewer line inspection to ensure that the sewer system is in good condition and that there aren’t any necessary repairs or pipe replacements needed. 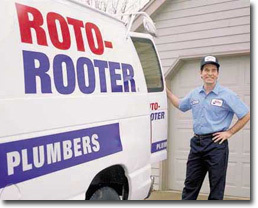 With Roto-Rooter Ventura, the process is inexpensive and the whole process is done quickly, so there’s no reason why you shouldn’t do it. People who wish to sell their property may also opt for a home sewer inspection in order to determine the state of their pipes and ensure that there aren’t any issues in the pre-closing phase. Sometimes the sewer problem is located deep underground but there are small signs that tell you something’s off. Sewer camera inspections are done quickly and aren’t expensive, so there’s no reason to put it off. The best way in order to see if there’s actually something wrong with your sewer system is to have an inspection done. This method surely beats having contractors dig up your precious yard and days of disruption to determine the cause of sewer line problems. At Roto-Rooter Venture, our expert technicians are sure to gather all the necessary information and come up with an accurate diagnosis to gain the resolution you need!